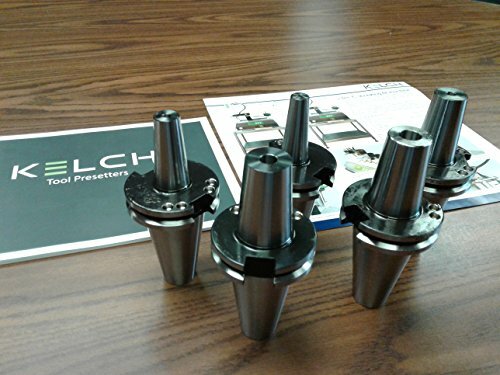 5pcs Germany KELCH brand Shrink Fit, Shrinker CAT40 end mill holders, please select 5 sizes from the following list: 1/8"(ID diameter) x 0.875"(Holding portion largest OD diameter) x 2.75"(Gage Length) 3/16" x 0.937" x 2.75" 1/4" x 1" x 2.75" 3/8" x 1.125" x 2.75" 3/8" x 1.125" x 4" 1/2" x 1.25" x 2.75" 1/2" x 1.25" x 4" 3/4" x 1.5" x 2.75" 3/4" x 1.5" x 4" 1" x 1.75" x 4" * Maximum 0.0002" TIR or better. * Balanced to G2.5/25000RPM. * 360 degree tool grip along the entire length of bore resulting in an evenly distributed clamping force and superior concentricity. * Ideal for end milling, drilling and other critical rotary tool applications. * No need wrenches, Collets, set screws and other accessories. * Coolant thru. * 5/8"-11 thread. View More In Tool Holders. If you have any questions about this product by CME Tools, contact us by completing and submitting the form below. If you are looking for a specif part number, please include it with your message.